Andaman Island is a hub of tourists who wish to explore something unique. The tranquil atmosphere, sandy beaches, clean environment and relaxing vibes make Andaman a perfect destination for any outing. 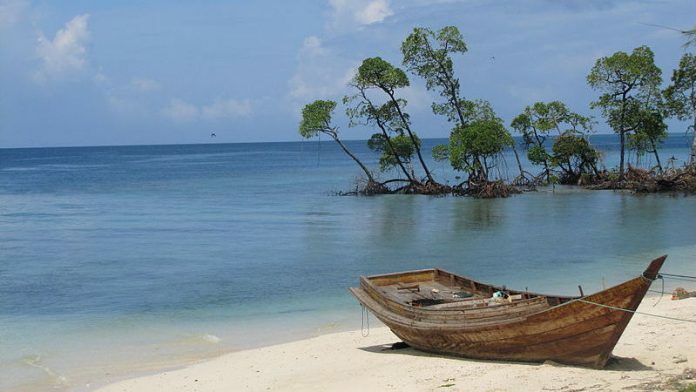 Holding 572 breathtakingly beautiful islands, Andaman offers a rare experience to the visitors. Tourists from every part of the world crave to visit destinations like Andaman once! People residing in distant areas of India like Delhi take a flight to Kolkata or Chennai to reach Andaman. Andaman holiday packages from Chennai helps them in planning the trip. So, no matter where you stay, Andaman will fascinate you to find a way to reach there! Are you also planning to explore the Andaman Island soon? If yes, then you should be packing your stuff. No, wait; you should be reading about the amazing things to explore in Andaman. Proper knowledge will make your trip super awesome! The first thing that should be mentioned to do in Andaman is surely water sports. Come on, what could be better than exploring the waters of the famous sea covered islands? There are a lot more water activities in Andaman that you could ever think. Ranging from scuba diving to snorkelling and from seaplane riding to sea walking, umpteen options are waiting to unveil a whole new marine world in front of you. So, if water is your thing then, you must visit Andaman! Have you ever imagined relaxing in a hammock tied to trees just near the seashore? Well, you could live out your similar beach related fantasies at the famous beaches of Andaman Island. Beaches are just like a soul to Andaman. For those who want to feel the essence of the Andaman, visiting the beaches is a must! Soak yourself under the glimmering sunrays or take a dip in the beach. No matter what you do, you won’t be able to hold your excitement! The top beaches which you should add in your travel list are Radhanagar Beach, Elephant Beach, Kala Pathar Beach, Lalaji Bay beach and many more. All the foodies out there understand the importance of food on any trip. Your trip to Andaman would be incomplete without exploring the tastes of this island. You will find plenty of food options starting from pure vegetarian food going to even Chinese cuisine. Among them all, you should not miss exploring the seafood dishes of Andaman. You will find as many marine species on your plate as you would find under the sea! So, if you are a non-vegan, relishing them all would going to be fun for you. 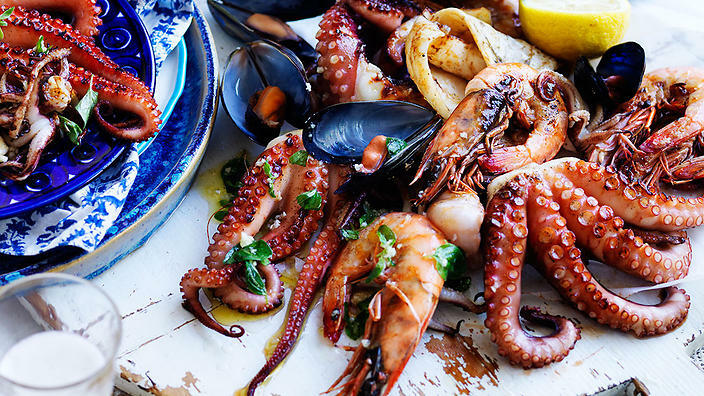 Some of the famous seafood dishes are Tandoori Fish, Curried Prawns, Grilled Lobsters and barbequed sea animals. The accurate blend of flora and fauna is one thing that contributes to the beauty of Andaman Island. Being a tourist, you should explore not only the beaches but also the forests of Andaman. Visiting the mangrove forests would be a distinct kind of experience for you. 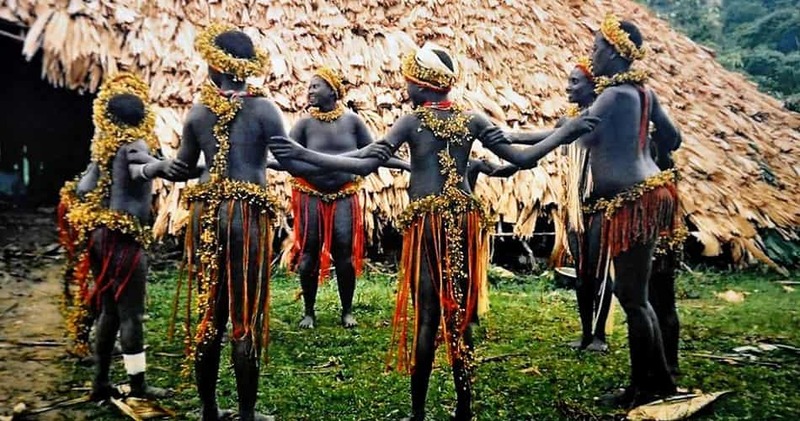 It will also provide you with a chance to see something different apart from the sandy regions of Andaman. Riding in a boat through the dense mangrove creeks is an adventurous activity which only a few tourists try. So, the chances are that you won’t find many other boats which make it even more thrilling! 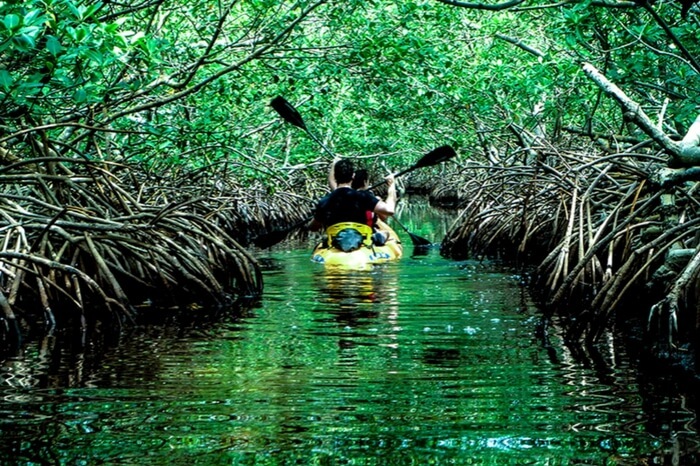 A district of Andaman, Mayabunder, is the right place for kayaking through mangroves. Your ride would start from Karmatang Beach and will take you through some of the most bewitching natural scenarios of the entire island. Looking for a private place isn’t that much difficult in Andaman. There are so many Island and beaches that you can literally get confused about which one to visit or which one to leave. You can take ferry rides to hop between the islands of Andaman. These islands are the best to chill without any disturbance. You can explore beaches on these islands or enjoy the sunset views by sitting at a secluded spot. You should surely add islands like Havelock, Neil, North Bay, Jolly Buoy etc. in your bucket list. 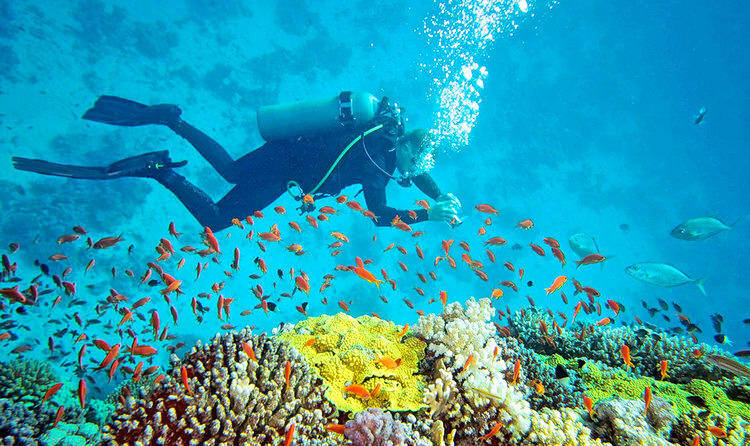 You can’t find any better place in entire India to observe marine life than Andaman Island. 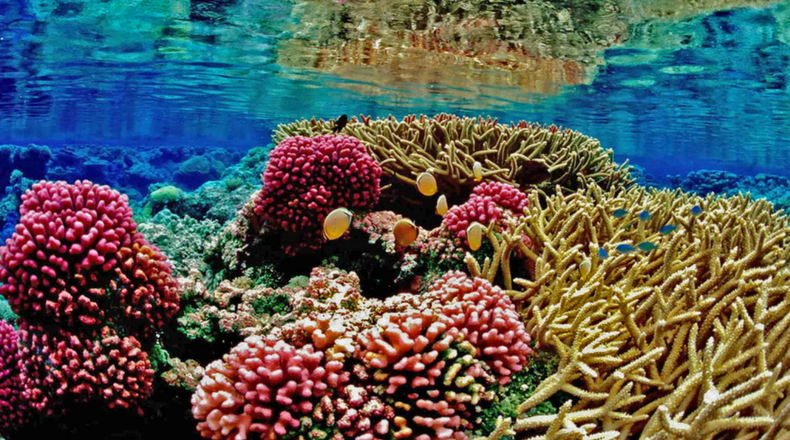 It houses some of the most spectacular species of coral reefs. You are lucky enough to see these vibrant underwater structures as these coral reefs can be found in very few places in the world. So, take a dive in the crystal blue seawater to see some of the nearly extinct coral structures at Andaman. You can also click images via underwater camera during scuba diving. An active volcano is a type of volcano that keeps erupting regularly. 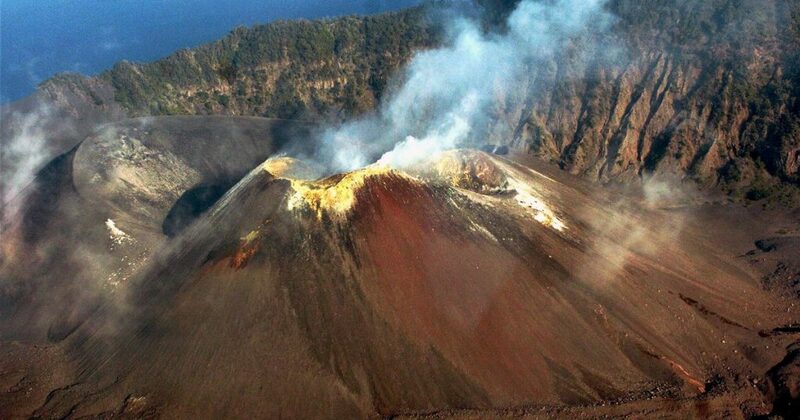 To your surprise, Andaman Island houses one such volcano which is also South Asia’s only active volcano. Due to its often eruption, visiting the island is not permitted by the authorities. However, you can hire a private ferry to go near the island through the water. There are luxurious boats with bedrooms for people who want to keep a close watch of this volcanic island. Maybe you could also catch a site of hot lava erupting slowly from the volcano! Don’t worry; you will be safe in your boat as it can’t cross the safety limit. Being a popular holiday destination, Andaman Island has a proper arrangement to host the visitors. 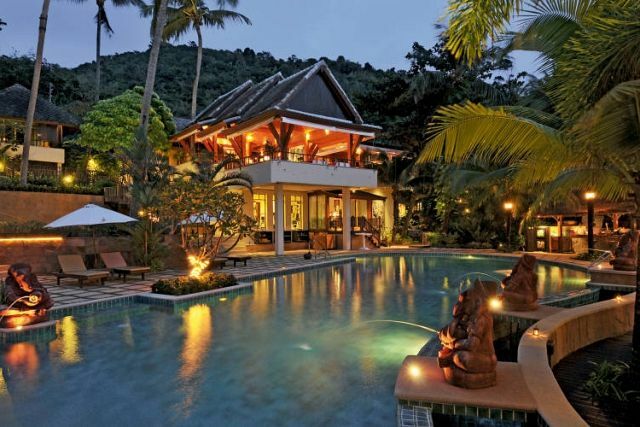 You would come across many plush resorts and spas while selecting your stay option in Andaman. After all, tourism is the biggest business of people of Andaman. You should stay at some of these exotic resorts to enjoy your time without any worries in Andaman. You can distribute your stay nights for various islands and book your stays in various resorts accordingly. So, book Andaman tour package from Chennai and other cities and explore every realm of Andaman on your trip as you are going to love every shade of it!